The year was 1957. Just three years prior, the U.S. Supreme Court ruled in Brown v. Board that segregation in public schools was in fact unconstitutional. During the summer of 1957, Minnijean Brown, Elizabeth Eckford, Ernest Green, Thelma Mothershed, Melba Patillo, Gloria Ray, Terrence Roberts, Jefferson Thomas and Carlotta Walls (collectively known as the Little Rock Nine) agreed to be the first African-American students to attend Central High School in Little Rock, Arkansas. The concept was simple. With Daisy Gaston Bates, president of the Arkansas NAACP, leading the recruitment efforts, Central High School would become an integrated public school in September 1957, though it wasn’t an easy task. On the first day of classes, the “Little Rock Nine” were met by angry protesters and the Arkansas National Guard who was ordered by Gov. Orval Faubus to refuse entry to the black students. While chaos at Central High ensued and President Dwight D. Eisenhower debated his plan of action, a young black man by the name of Maurice Horton was completing his final semester as a mathematics student at Henderson State Teachers College, about an hour south of Little Rock in Arkadelphia. In 1955, two years before the Supreme Court made its unanimous decision, Horton transferred from Arkansas AM&N College to become a full-time student at Henderson, only 10 miles away from his hometown of Curtis. Rather than being met with guards and protesters, Horton and the other black students on campus were able to attend college events and roam around campus as they pleased. However, eating in the cafeteria was not one of those privileges. 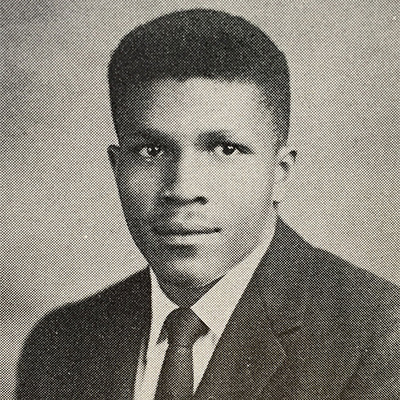 In 1957, Horton graduated from Henderson becoming the first African-American student to graduate from the college and one of the first African-Americans to graduate from a white institution in the South. Over the next 10 years, little changed in the South’s segregated school systems. The Green Decision of 1968 prompted a major change toward equality in education. The Supreme Court ruled that school districts must move swiftly to integrate. Though Henderson was essentially a pioneer in desegregation, this decision positively impacted the enrollment of African-American students at the university. Henderson had the largest number of African-American students out of all the Arkansas colleges during the 1970s. Although the university appeared to be more accommodating of the diversity, black students at Henderson faced a separate set of challenges different from Horton and the black students of the 1950s and 60s. The needs of Horton and previous African-American students were not the same as this new generation of black students. These students wanted to be more involved on campus and wanted more representation in organizations and on the faculty and staff rosters. In 1971, black campus life had started to become a reality. Virginia Smith and Paul Stein became the first African-American faculty and staff members at Henderson. That same year, Omega Psi Phi became the first black fraternity chartered on campus. By 1977, six of the Divine 9 organizations had been chartered on the campus of Henderson State University. During the 1980s and 90s, Henderson State continued on the path of assisting African-American students achieve their educational goals. A member of the 1992 class was Glen Jones who became Henderson’s 17th president and the university’s first African-American president. In continuing to lead the charge for representation in higher education, Jones also became the first African-American to serve as the president of a non-historically black institution in the state of Arkansas. Henderson prides itself on providing access to an affordable education for all degree-seeking students. The success of African-American students from the 1950s to the present day is a reflection of Henderson’s dedication to excellence in higher education. Throughout the month of February, Henderson State will educate and celebrate the history of black excellence at the university, in the state of Arkansas and across the country.